It’s taken ten years for the City of Munich to migrate away from Microsoft to Linux, but Peter Hofmann, the man leading the City of Munich’s project has successfully been completed with the vast majority of workstations now running their own custom version of Linux. In one of the premier open source software deployments in Europe, the city migrated from Windows NT to LiMux, its own Linux distribution. LiMux incorporates a fully open source desktop infrastructure. The city also decided to use the Open Document Format (ODF) as a standard, instead of proprietary options. 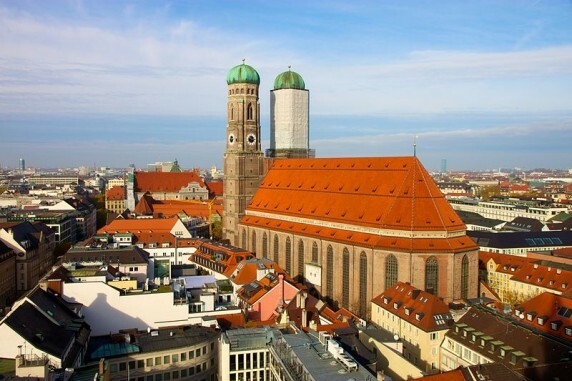 Ten years after the decision to switch, the LiMux project will now go into regular operation, the Munich City council said in a document published on its website. As of November last year, the city saved more than €11.7 million because of the switch. More recent figures were not immediately available, but cost savings were not the only goal of the operation. It was also done to be less dependent on manufacturers, product cycles and proprietary OSes, the council said. “All project objectives were achieved and in some cases even exceeded,” the council said. One of the goals was to migrate 12,000 desktops to LiMux, but in the end, the city managed to create over 14,800 LiMux workspaces for its approximately 15,500 desktops. The vast majority of users and administrators have been familiar with the OS for a long time, the council said, adding that despite the migration of many thousands of PC workstations, the city government always remained operational. Munich is used to forging its own path. The city runs its own schools and is one of the few socialist, rather than conservative governments, in Bavaria. As well as being tied to Windows upgrades, Munich faced becoming more tightly locked into the Microsoft ecosystem with each passing year, Hofmann said. “Windows has developed from a pure PC-centred operating system, like Windows 3.11 was, to a whole infrastructure. If you’re staying with Microsoft you’re getting more and more overwhelmed to update and change your whole IT infrastructure [to fit with Microsoft],” according to Hofmann, whether that be introducing a Microsoft Active Directory system or running a key management server. In spite of the delay in completing the project, Hofmann said the authority had always planned to take its time. The time taken to complete the project is one of many reasons that Microsoft has attacked Munich’s move to LiMux. A report criticising the project, produced by HP for Microsoft, claimed the Redmond software giant could migrate 50 to 500 desktop PCs per day if upgrading to a Microsoft OS and office, suite compared to the eight per day it said was being achieved under the LiMux project. However, by Hofmann’s reckoning, that slow and steady migration is one of the reasons the project has largely managed to stay within its budget with minimal disruption. The project finished within budget in October 2013, with more than 14,800 staff migrated to using Limux and more than 15,000 to OpenOffice. If your company is looking to save money by moving to an open source Linux environment, then GiraffeDog can help. We have helped UK companies save £1000’s by choosing Linux for both servers and desktop systems.